EL PASO (Sputnik) - Supporters of Texas Rep. Beto O’Rourke’s bid for the Senate see his effort in a positive light because it boosted participation and unity despite his loss to incumbent Sen. Ted Cruz. On Tuesday, Cruz defeated O’Rourke by a 51.1 to 48.1 percent margin, the Texas secretary of state’s office reported based on over 93 percent of precincts reporting. Thousands of O'Rourke's supporters gathered in excitement on a chilly Tuesday night at Southwest University Park in El Paso, Texas to celebrate the congressman's tight race against Cruz. The congressman returned to his hometown on Monday after an extensive campaign through all of Texas' 254 counties. The evening's festivities began with local music acts on stage as midterm election results had yet to be reported. Performances were mixed with different genres of artists that included Latin band Frontera Bugalu, country artist Valerie Ponzio, singer Elia Esparza, and Jim Ward of At The Drive In and Sparta. The media presence at the ballpark stadium was overwhelming with correspondents from major US networks and other international media outlets. Later in the evening, early election numbers showed O'Rourke with a slight lead over Cruz in the key Senate race. Supporters were in good spirits as he maintained the lead with more than half of votes counted. They enjoyed their beers and food offered at the stadium as hopes still seemed high. "It's exciting for El Paso, I love to see young people that are inspiring me… It's still a win-win situation, it raised the voter participation, engagement. It's good for Texas, it's good for the country," John Casarez of Texas told Sputnik. 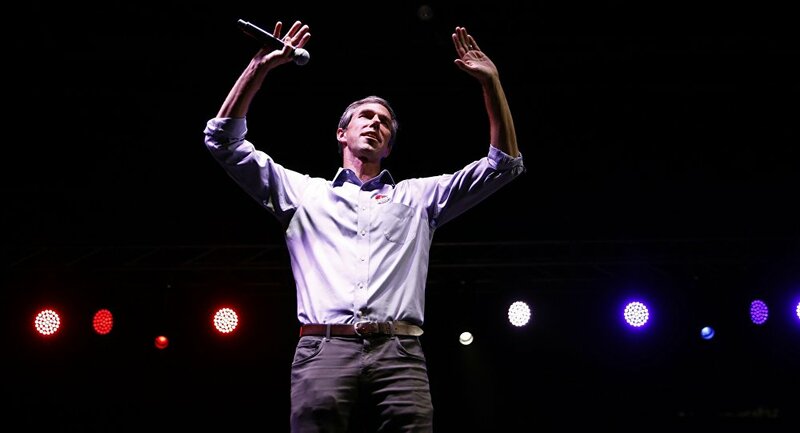 However, as a majority of votes were reported in the Texas Senate race, supporters in the crowd became anxious and fixated on their phones as they saw reports of Cruz taking and extending the lead over O'Rourke. Some of the excitement dampened as Cruz pulled away for a win. "I feel kind of disappointed, but at the same time it was such a great [event]… El Paso came together in such a good way, everybody was just mingling, there was nobody being rude, nobody being hateful towards anybody. It's a really good outcome," Brittany Beltran of Texas told Sputnik. Despite O'Rourke's defeat, the hometown crowd cheered loud when news on the jumbo screen at the ballpark tuned into CNN to show reports that Democrats had secured control of the US House of Representatives. They booed loudly when reports showed that Republicans kept control of Senate. Overall, O'Rourke supporters remain inspired by his ambitions and efforts.